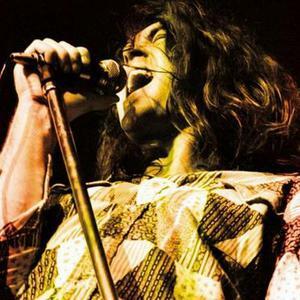 Ian Gillan (born on 19 August 1945), is a rock music vocalist best known as the lead singer for legendary rock band Deep Purple. He is considered to be one of the foremost rock vocalists, who introduced into the rock music the vocal belting technique. In his prime he possessed a very wide vocal range which was rumored to be 4 and a half to 5 octaves and with seemingly effortless and fluid movement throughout it and with remarkable force and precision in the upper register. Gillan was born in Hounslow, Middlesex, England. He joined the band Deep Purple in 1969. In 1970, he sang the part of Jesus in Jesus Christ Superstar. After leaving Deep Purple in 1973, he went into brief retirement before forming the Ian Gillan Band. The early band sound had a distinct jazz-rock aspect which proved unpopular and was replaced by a more high powered hard rock sound as Gillan reformed the lineup and shortened the groups name to Gillan. With the release of Mr. Universe Ian Gillan was back in the UK charts and through several more line up changes released a string of hit singles and successful albums including Glory Road, Future Shock, Double Trouble, and finally Magic. Then he announced the band would fold as he needed to rest his damaged vocal cords. In 1983 he joined Black Sabbath to record the Born Again album before rejoining a reunited Deep Purple shortly after completing the Born Again tour in early 1984. He left Purple again in 1989, but rejoined for good in 1992. He remains in the band today. Gillan is now working on a project to document his 40-year career, tentatively called Gillan's Inn. Tony Iommi, Jeff Healey, various members of Deep Purple and many others will be featured on this 2006 DVD project.